Metal Building Supplies manufactures two concealed fastened panel’s, NailStrip Panel and SnapLock Panel. These types of panels are also typically called Standing Seam Roofing. NailStrip has a fastening leg on one side that is screwed thru to attach the panel to the roof. The next panel snaps in over the fasteners which conceals them. The SnapLock Panel uses a clip to connect the panel to the substrate and the next panel snaps on over the screwed down clip. 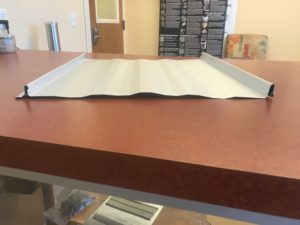 Both panels have a coverage of 16″ once installed and both panels can be ran with or without Striations. The striation’s are always recommended to minimize oil canning which is a ripple effect that is seen when the sun hits the panel a certain way. The NailStrip Panel has a 1″ tall high rib and The SnapLock Panel has a 1-1/2” tall high rib. They are both manufactured in 24ga. Galvalume and 24ga. Kynar Painted. MBS has Florida Product Approval’s (#FL 4525.1 and #FL 4525.2) as well as HVHZ (High Velocity Hurricane Zone) for both panels. 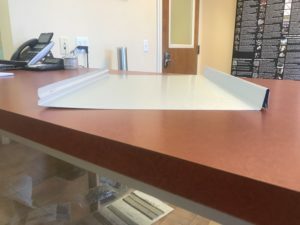 The Metal Building Supplies SnapLock Panel and NailStrip Panel are an affordable option when you want a concealed fastened panel.